Today, I am providing you with our latest update. In the last few days, we experienced a real run on our ice cream in the "Supermarket," supplied another café with our molecular ice cream, and were happy about additional media coverage. Our latest creation, passion fruit and cassis ice cream with a cream of vanilla, saffron, and yogurt, has been very popular. Find out in this update what happened in addition to the things mentioned above. Enjoy reading it! The great weather during the Pentecost weekend was clearly an advantage for us: During our sale in the Supermarket at the Bikini Berlin, we sold all 250 ice pops we had made. The fact that our ice pops were sold out so fast shows us that people not only like the taste of our molecular ice cream, but are also willing to pay a certain price for quality and a high degree of innovation. 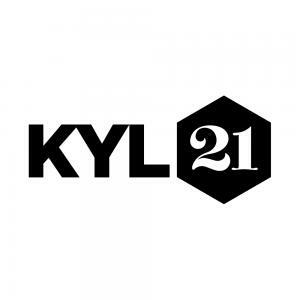 Demand for Kyl21 is so huge that we can hardly wait to start using the first "Kylator." For all those of you who have not had the chance to try our molecular ice cream yet, there now is another place where you can do so: A few days ago, we have started supplying the next Kyl station with our ice cream. 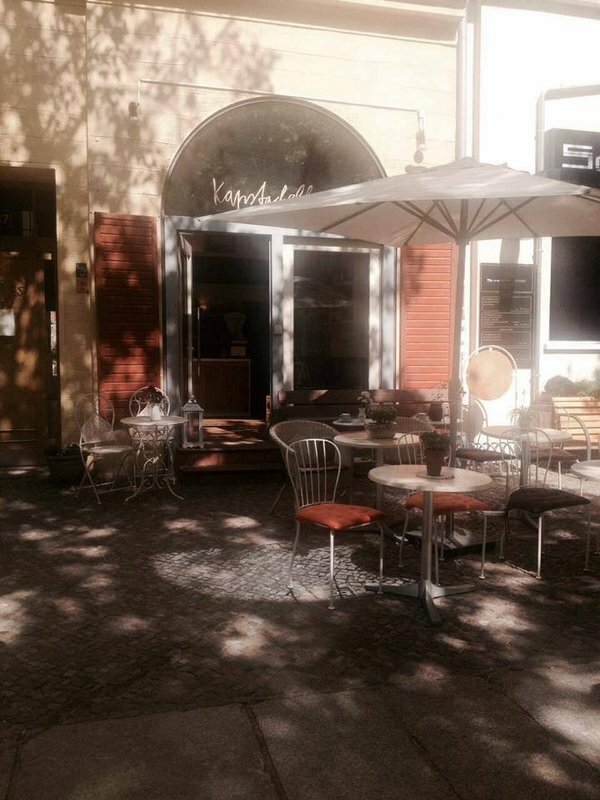 The beautiful Café "Kapstachelbeere" (see photo on the right) run by Claudia Abel in Kollwitzstraße in Berlin will become the next focal point of gourmets and ice cream enthusiasts. Having perfected our yogurt-based and rise-based recipes after several years of work, it was about time to start experimenting in the still missing area of sorbet as well (i.e., to start creating lactose-free and vegan sorbets). Our goal was to also reinvent this kind of ice cream and make it very smooth without using any additives. After almost 5 months of development, we now have another incredible molecular ice cream variety at our disposal. It is hard to believe that this ice cream is a real sorbet because it has a very smooth texture, an intensive taste, and a sugar content of less than 1/3 of the amount that is normally necessary. Within the next few days, we will deliver the first samples. The media are still very interested in our molecular ice cream. An avant-garde chef, I am particularly happy that the gastronomy magazine "Der Feinschmecker" (the gourmet) will report on our ice cream in its July issue – a sign of appreciation from true experts. You will find additional articles on Kyl in the next issue of the Lufthansa magazine and in the business magazine Enorm. Next month, we will charm 1200 guests at the opening of exhibition hall 3a in Nuremberg by means of our spectacular ice cream show. Afterward, we will move on to the university in Gernsbach (in southwestern Germany), where David will give a presentation on the marketing concept of Kyl21. Also, we are right in the middle of preparing the tenth anniversary of the Amador restaurant, the campaign with Fabio Borquez, and the filming of the five-part documentary on the "future of food."